County Commissioner Tim Zorc thinks he has found an innovative way to cost-effectively clean canal water in Indian River County in the main relief canal before it empties into the Indian River Lagoon, and he plans to showcase the technology at a lagoon symposium. If his plan is successful, it has the potential to remove huge amounts of lagoon-killing chemicals from the murky canal water and help give the estuary a fighting chance to recover from recent ecological disasters. Developed by AquaFiber Technologies Corporation, the purification process has been extensively tested over the past five years at Lake Jesup in Seminole County. 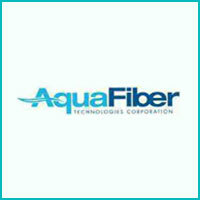 AquaFiber’s innovative technology employs a process called dissolved air flotation that clarifies water by removing suspended oils and solids. As an added benefit, Tim Zorc says, the process yields a biomass by-product that can be turned into useful products. Tim Zorc says at least 100 million gallons of water pour out of Indian River County’s three main relief canals each day. The North and South Canals have turf algae scrubbers processing part of the flow and removing small quantities of nutrients that damage the lagoon. (Each came with a $12 million price tag.) The North Canal’s scrubber has been operating for about five years, the South Canal’s for only a few months, but there is nothing on the Main Canal.